The Plantronics SHR2082-01 industrial strength headset ensures quality while built for extremely high volume environments. Built fir strength and performance the over the head design seals up a single ear with heavey duty ear piece. Superior noise canceling blocks out most background noise which is perfect for louder environments. 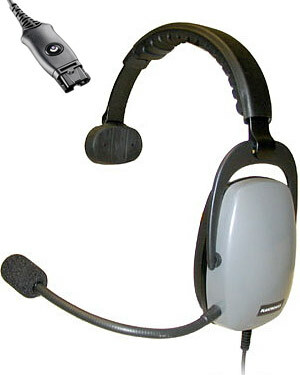 The Plantronics SHR2082-01 headset is built to with stand heavy industrial like measures. Includes a quick disconnect connection for simply disconnecting the headset without having to take it off. Requires a Plantronics amplifier such as the Plantronics M22 or the Plantronics CA12CD wireless amplifier.